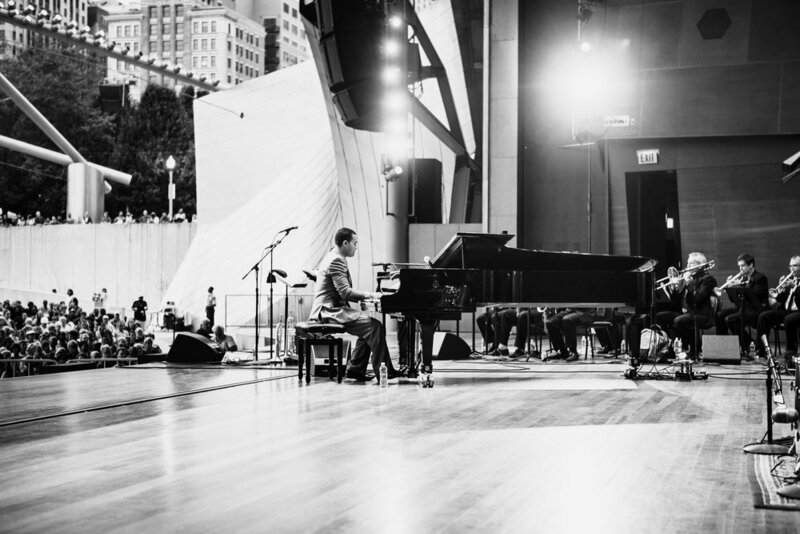 This modern jazz group has performed at jazz festivals, clubs, on television, and churches in the New York, Pennsylvania, and Chicago land areas. It is comprised of Darwin Noguera- Piano, Tamir Shmerling - Bass, Philippe Lemm - Drums, Joel Frahm - Tenor Saxophone. Click HERE to download Trio One Sheet. Click HERE to download Chicago Tribune Review. Click HERE to download Paquito D’Rivera Trio Classical Review. The Chicago Afro Latin Jazz Ensemble has performed across the US and Central America as a quartet and 15-piece orchestra. Their critically acclaimed album, "Blueprints", was released under Chicago Sessions Records, with special guests, Grammy winning trombonist Steve Turre and percussionist Paoli Mejias. Click HERE for One Sheet. Click HERE for Press Kit Booklet. Click HERE for Quintet Tech-Rider. Click HERE for 15-piece Tech-Rider. Click HERE for 15-piece Stage Plot.